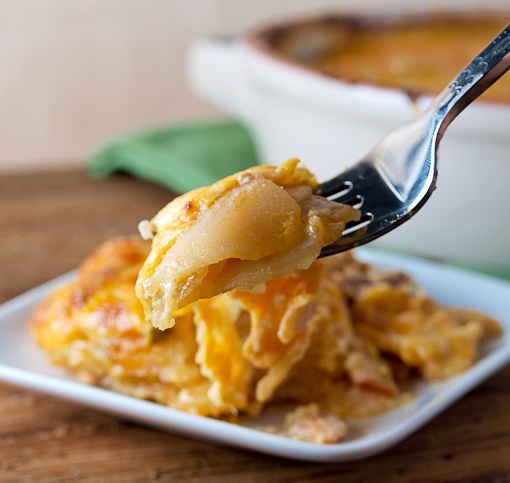 Creamy potatoes, smothered in cheese, are my idea of heaven. April has been a super busy month for me. I was hired to do the photography for a cookbook and my deadline is the 30th. So, while I have been very busy in the kitchen lately, almost all of it is for the photography project I have been working on. Doing this kind of work is rewarding, but it leaves little time for recreational recipe development. That’s not to say I have put away my recipe writing hat. Far from it, I have been jotting down ideas all month and May will likely be packed with yummy goodness. This recipe, however, could not wait. Once I had the idea I did not want to wait to try it, so I took a break to concoct some carb loaded, bacon laced fun! These may well be my favorite potatoes – ever! 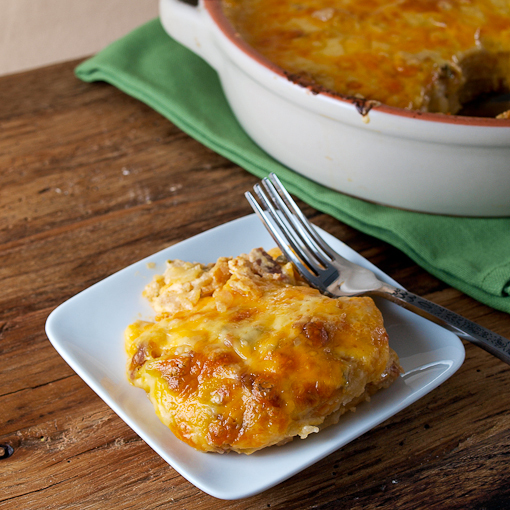 The gentle heat and warm spices are what make this ‘Tex-Mex’. I wanted the earthy flavors of cumin and smoked paprika, but I also added some fresh, slightly fruity jalapenos to brighten things up and add some zing. When you combine that with the creamy potatoes, savory bacon, and browned cheese you end up with a dish that wraps you up in comfort and doesn’t let go. This would be wonderful served along with steak or chicken fresh off the grill, but it also makes a fine meal in itself. The only real tip I have to offer is to use a mandolin when slicing the potatoes. Even thickness is the key to even cooking. If you are looking for a fun new potato dish, look no further! Heat the oven to 375 F and spray a 2 quart casserole dish with non-stick cooking spray. In a medium pot over medium heat add the butter. 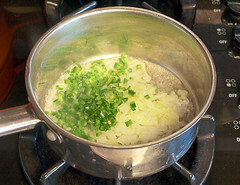 Once the butter foams add the jalapeno and onion. 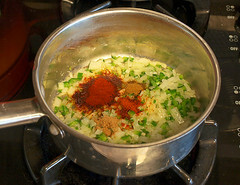 Cook, stirring frequently, until softened then add the smoked paprika, cumin, coriander, cayenne pepper. salt, and pepper. Cook until the spices are fragrant, about 1 minute. 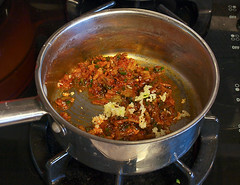 Add the garlic and cook until the garlic is fragrant, about 30 seconds, then add the half and half. 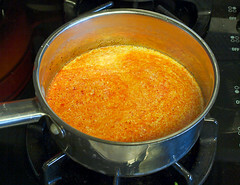 Bring the mixture just to a simmer then remove the pot from the heat to cool slightly. 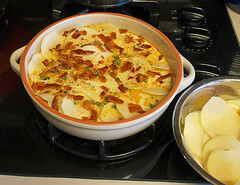 Place 1/4 of the potato slices in an even layer in the bottom of the prepared dish. Sprinkle with 1/4 of the bacon, and ladle over 1/4 of the half and half mixture. Repeat three more times, then cover the dish with foil and bake for 45 minutes. 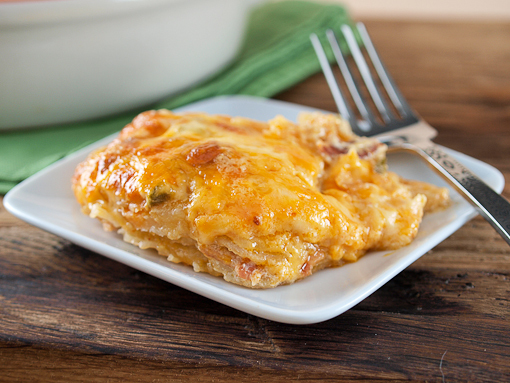 After 45 minutes remove the foil and top the dish with the shredded cheese. Bake for an additional 15 minutes. 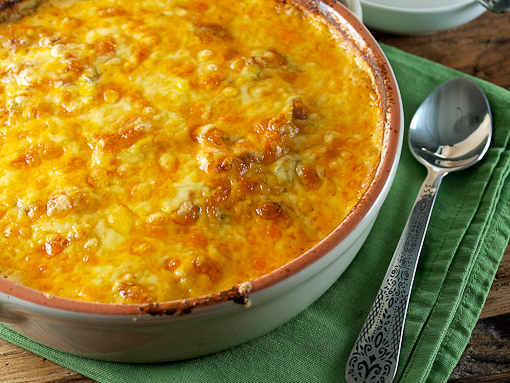 If you want the cheese to brown more deeply place the dish under the broiler for 1 – 2 minutes. Allow the dish to stand for 10 minutes before serving.